A classic story of imagination, friendship, rock bands and high-speed helicopter chases. For fans of Ivy & Bean, Judy Moody or Nate the Great. Everyone's favorite odd couple is back. Our heroine, Renata Wolfman (Wolfie) does everything by herself. Friends just get in the way, and she only has time for facts and reading. But friendship finds her in the form of Livingston Flott (Fly), the slightly weird and wordy boy from next door. This time, Fly has convinced Wolfie to join him in his one-man band. Before they know it, they're playing live onstage in front of a stadium of screaming fans. But these fans are about to get out of control—and Wolfie and Fly have to make a daring escape! CARY FAGAN is an award-winning author for children and adults. His kids' books include the popular Kaspar Snit novels, the two-volume Master Melville's Medicine Show, and the picture books Little Blue Chair and Mr. Zinger's Hat, winner of the Marilyn Baillie Picture Book Award and the IODE Jean Throop Award. He has also won the Jewish Book Award and been shortlisted for the Silver Birch Award (five times), the Rocky Mountain Book Award (twice), the Hackmatack Award (twice), the Norma Fleck Award, the Shining Willow Award and others. Cary lives in Toronto with his family. ZOE SI is a cartoonist, freelance illustrator and lawyer. She believes in the power of words, but also that wherever words fail, a cartoon can usually succeed. 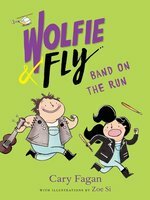 Wolfie and Fly: Band on the Run is Zoe's second book for kids. She lives and works in beautiful British Columbia. Booklist "A wild adventure... 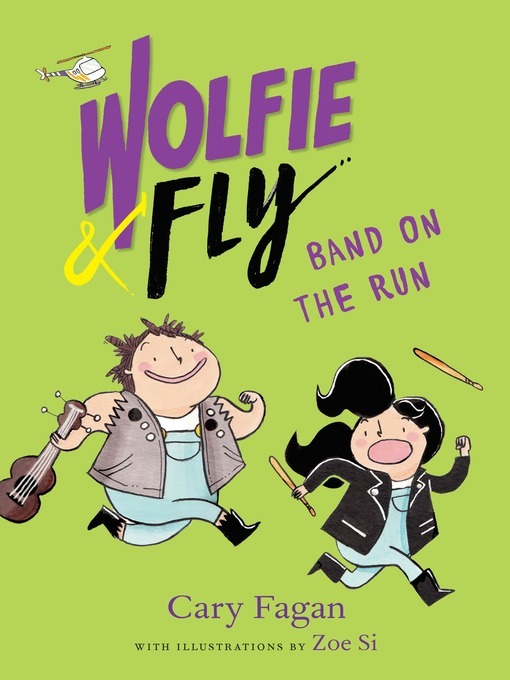 Entertaining and relatable, Wolfie and Fly's odd-couple friendship continues to illustrate the benefits of new experiences and stepping outside of one's comfort zone." CM Magazine "[A] cute, little nine chapter story which would be a great easy read for young readers who want to start reading chapter books... Recommended."